The mobile workforce is on the rise—and so are the risks of litigation. As employees use more devices, messaging systems, SaaS and social media, responding to eDiscovery requests becomes more costly and time consuming. In fact, companies spending $1 million or more annually for litigation increased by nearly 20% from 2012 to 2013. 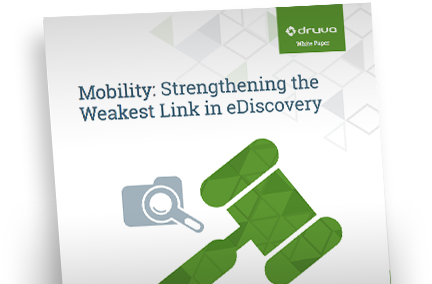 Access the white paper to learn several important considerations for taking a proactive approach to eDiscovery data collection.